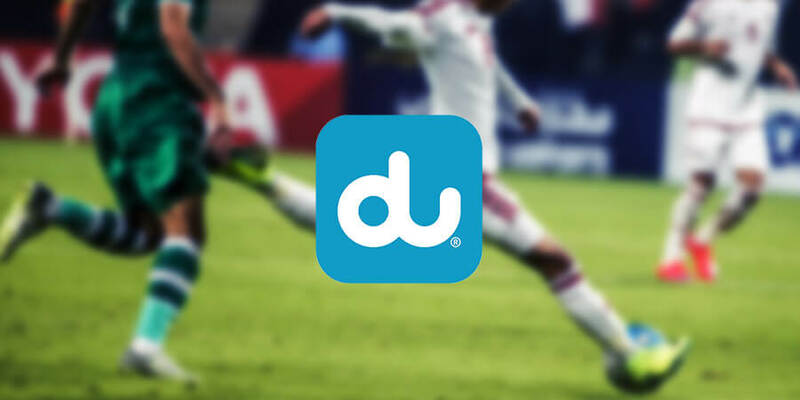 du, part of Emirates Integrated Telecommunications Company, has launched an exciting new sports portal, duSports, on its content platform MyWorld. This newest vertical was introduced during the exhilarating du Football Championship (duFC) finals at the Dubai Mall Ice Rink on April 20, 2018 featuring football legends Carles Puyol and Roberto Carlos. The launch of duSports reinstates du's commitment to sports in the UAE, and will serve as the new platform for duFC, the home of youth football in the UAE. "We are launching duSports to further expand our portfolio of content offerings in the UAE and demonstrate our commitment to delivering innovative entertainment across a wide variety of touchpoints," said Fahad Al Hassawi, Deputy Chief Executive Officer, telecom services, Emirates Integrated Telecommunications Company. "This new portal offers a captivating range of sports related content that only reflects our continued passion and involvement in the UAE's sports scene throughout the past three years. This is just the beginning, we plan to further enhance and elevate our portfolio of content offerings on du's MyWorld in the future as part of our content strategic direction towards becoming the 'preferred content distribution channel in the UAE", he added. duSports delivers a wide-ranging selection of sports related content, with more than 50 hours of exclusive and premium content related to the World Cup, in addition to all sports related news as well as matches results, play by play updates and news about your favorite sporting activities, for as low as AED 2 per day. The newly expanded My World portal, is a content platform that puts an assortment of entertainment content including music, video on demand, celebrity clubs and sports at du customers' finger tips. Launching this portal complements du's continuous efforts in supporting football in the UAE at grassroots level through its duFC platform. Featuring the UAE Schools Cup and Streets Cups, duFC is the home of youth football in the UAE. duFC is open to boys and girls aged 11 - 18 from across the UAE, and offers them a professional scouting platform to develop the male and female football champions of tomorrow.